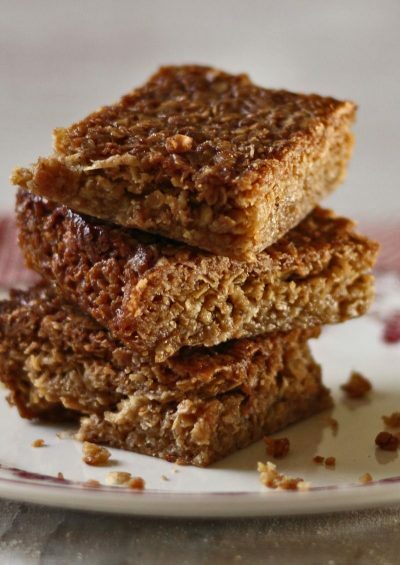 Fancy making some treacle flapjacks for Bonfire night? Pre-heat the oven to 180°C (gas mark 4). Prepare a baking tray with parchment paper. Add the butter, brown sugar and treacle to a pan and heat on low heat. Stir till everything melts. Weigh out the oats and pour the mixture over the oats. Mix till all the oats are coated. Pour the oats into the prepared baking tray. Bake for 40-50 minutes or until the edges appear darker. Remove from the oven and allow to cool for a few minutes. You can spice this recipe up by adding chopped nuts or chocholate chips when you add the oats. Also, melt some chocolate and pour over the flapjacks once they are slightly cool.